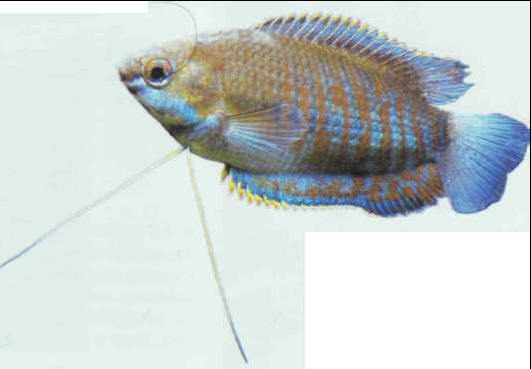 The timid thick-lipped gourami hides in the vegetation whenever it feels threatened. The female lays several hundred eggs in soft, acidic water. Size: 10-12 cm.